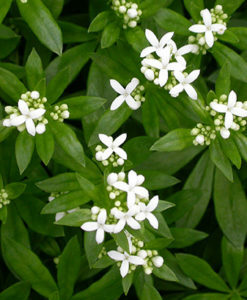 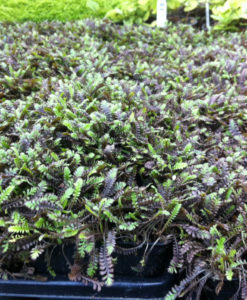 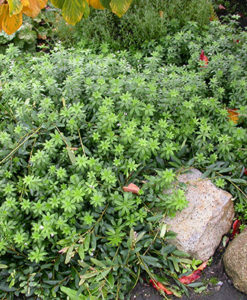 This evergreen, mat-forming plant has long trailing stems that is widely used as a ground cover and container plant. 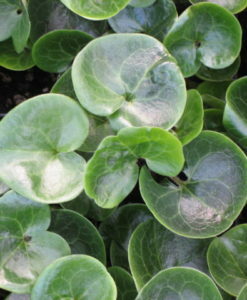 it is more commonly used as a container plant. 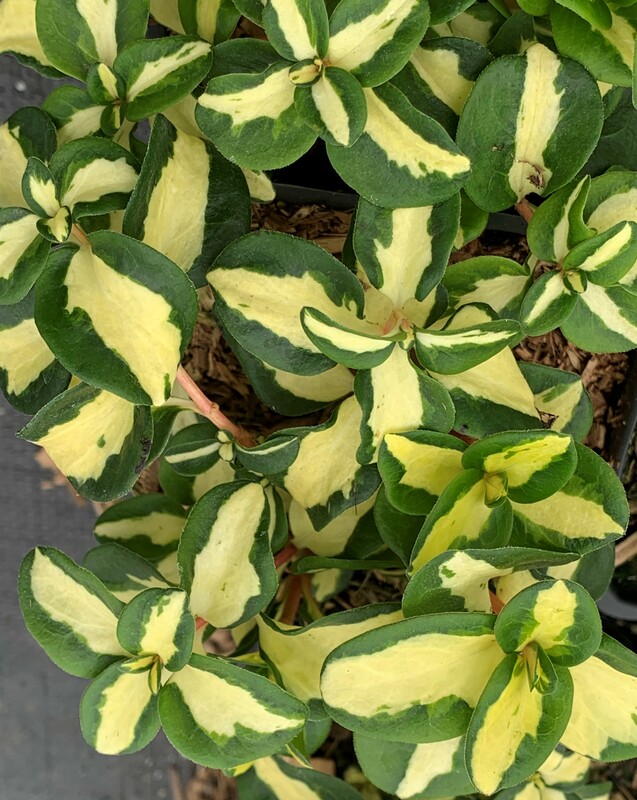 ‘Wojo’s Gem’ is noted for its variegated leaves that feature large, creamy yellow-white centers edged with deep green. 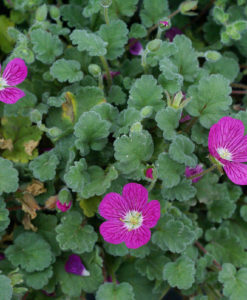 Its tubular violet blue flowers bloom in the in spring, and usually continue to bloom intermittently throughout the summer into autumn.